The story of Emirates begins during the mid-1980s, when Dubai flights were scaled back by Gulf Air. As a result Dubai's royal family decided to form a small airline, and in 1985 used two ancient Boeing 727s from the Dubai Royal Air Wing to provide two of the airline's first aircraft. It acquired much of its $10m start up capital from the Dubai government, which allowed it to lease a Boeing 737 from Pakistan Airline. First flights were from Dubai to Karachi, but within a year it was adding new destinations such as Colombo, Dhaka, Amman and Cairo to its route network. More cash allowed the airline to expand both its fleet and its destinations rapidly, with two new Airbus A310 used for the first proper long haul flight to London Gatwick by 1987. Istanbul and then onto Frankfurt, came by 1988, and by 1989 the far east, including Bangkok and Singapore, then Hong Kong in 1991. During the Gulf War Emirates carried on flying (one of the few Gulf airlines to do so) and picked up a lot of trade from other airlines. Its main competitor, Gulf Air, fought back, and dominated regional traffic around the Gulf: indeed, Emirates faced much competition at its home base of Dubai, however at time it hit on a hugely successful strategy for a Gulf Airline. 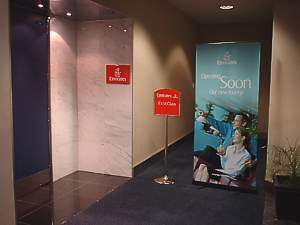 Emirate’s mainly British Management found that many customers were annoyed because Gulf was (and still is) a dry airline: alcohol is not served. However the UAE has a slightly more tolerant view of alcohol, viewing it as a way to raise money from Westerners via its ‘haram tax’ (literally, ‘Sin Tax’). Accordingly Emirates started serving free wine and beer, initially to London Gatwick, but then rapidly on all services in all classes. It saw an immediate uptake in custom. By 1993 Emirates start its habit of forming close links with other airlines, which it then rapidly abandoned. 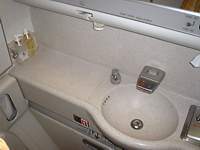 Initially it had a co-operation agreements with Cyprus Airways, and then in 1994 with US Airways, Delta, and British Airways. These were abandoned by 2007. Emirates Airlines was being hamstrung by lack of aircraft to take on new routes, and ordered seven new Boeing 777, which became the mainstay of the fleet when they arrived from 1996 onwards. These aircraft allowed Australia to be served for the first time, on a new service to Melbourne via Singapore. In 1998 in a deal that has gone down in aviation folk law, Emirates bough half of the then nearly moribund Air Lanka from the Sri Lankan government for US$70, and entered a ten year contract to manage the airline. It rebranded the airline Sri Lankan Airlines, put in new management, and stopped the practice of the government using it as their own private plaything: this led to a conflict nearly a decade later, when it sold the airline back, pretty much doubling its investment. Emirates still had no direct or non-stop flights to either the US or to Australia, because of the distance involved, however with passenger numbers growing by 20% a year it had to solve this problem, and in 2003 it did, thanks to three new Airbus A340-500, which allowed flights to Sydney and New York JFK nonstop. This became a crucial plank of its strategy, of allowing passengers in Asia to bypass the usual European hubs of Heathrow or Frankfurt, and instead fly direct to the US from an Asian hub. This worked well. There was however an even better aircraft from Airbus in the offing, and Emirates was determined to gain all the publicity it could from it. It has become the aircraft for which many people know the airline. The Airbus Super Jumbo A380-800 is a vast aircraft, and Emirates wanted to be the launch customer (if failed in this) and to have the world’s largest fleet of them. In this it succeeded. At the 2003 Paris Air Show, Emirates ordered 58 Airbus 380-800s, and 26 Boeing 777-300ERs, with other aircraft bring it to 71 aircraft at a cost of US$19 billion. It followed this up in 2005 by ordering 42 Boeing 777s in a deal worth $9.7 billion, and a $2.8 billion order for 10 Boeing 747-800Fs. Emirates however had a love-hate relationship with Airbus. The delays with the A380 caused Emirates to say that it was on the fringe of never ordering from the company again, and it was 2008 before Emirates flew its first A380 from Dubai to New York JFK. Airbus paid US$110 million in compensation for late delivery of the A380, however Emirates has continued to list complaints, informing Airbus about heat-damaged power cables, defective engines and numerous malfunctions, many reportedly caused by the two showers on the aircraft. Despite this in 2010 Emirates ordered an additional 32 A380s, bringing to a total of 90 superjumbos for the airline. With all this expansion, the airline needed more space at its Dubai hub. 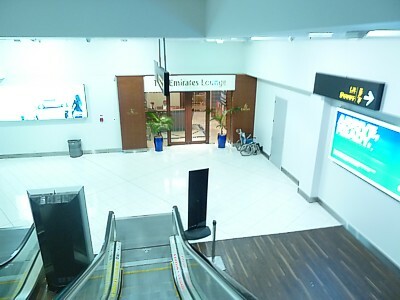 Dubai International Airport's Terminal 3 was built exclusively for the use of Emirates at a cost of US$4.5 billion and is the largest building in the world by floor space. It opened in 2008, with an expansion to the new concourse 3 in 2011 be exclusively for the A380- 800. Emirates however has had its troubles. Passenger loads haven’t been as good as expected to the US, and Emirates abandoned using the A380 to JFK for some time. Equally, loads to Australia have been poor, mainly due to the cramp Boeing 777, and the hideously early morning flight to Dubai. As a result one of the three daily Sydney flights was suspended in 2010. Equally troubled has been Emirates relationship to Sri Lankan airlines, which it half owned and managed. 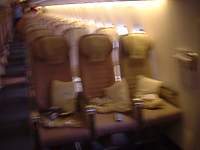 In 2008 it walked away from the deal, selling the airline back to the Sri Lankan government, because Emirates stated that the Sri Lankan Government was seeking control over the day-to-day business of the airline, including regularly throwing off passengers to allow officials to travel without warning. The catalyst for this event was when the Sri Lankan President, Mahinda Rajapaksa and his entourage of 34 on a shopping trip to London tried to take the seats of tourists on a fully booked flight. The airlines management said no, so the government threw them out of the country. The airline ranks amongst the top ten airlines in terms of passengers flown, and has become the largest airline in the Middle East in terms of revenue, fleet size, and passengers carried.